Yay! Celebrate the end of the semester/finals at Fuji-Q Highland located at the base of Mt. Fuji. 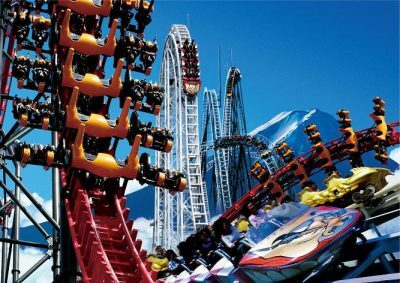 The amusement park has over 40 different attractions, with several Guinness record holding roller coasters!